The #DeleteArt13 is fear mongering scam. And I fell for it hook line and sinker. I sincerely apologize for spreading this misinformation. I'll keep the post as a warning and I'm using myself as an example. Read the real Article 13 here. Provided by KAI_BORG. I'm not sure if anyone knows about this #DeleteArt13. 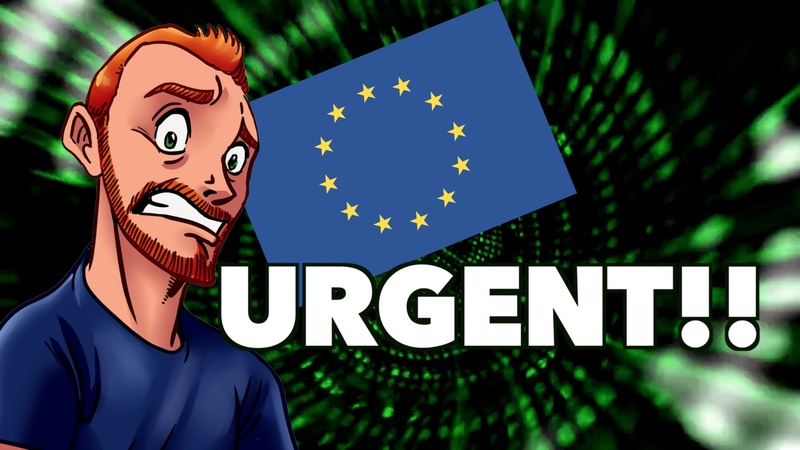 Its a Petition against article 13, with which the European Union wants to put a tax on the internet in Europe. Specifically things like: hyperlinks, comments, discussions, makes remixing music illegal and more. Basically gets rid of Fair Use. I'm doing this because i'm afraid for the future. And don't forget to spread the word. Holy crap. Time to go spread the word. This is obviously not good news. I don't live in the EU so this won't affect me, but I don't want this to happen. Well now. And I thought the net neutrality thing in the states was bad. Wait, I don;t understand. What is this thing? I feel this an act that would destroy a major piece of the boards, which is definitely important to talk about. Meanwhile, I am glad I don’t still live in Germany! I don't and won't pretend to have a deep understanding of this proposal. I don't even live in the EU, so it really doesn't pertain to me. Because of that, I feel inclined not to get involved with the petition, but if the proposal does indeed result in what people fear it will, then I do seriously hope the EU's justice system will shoot it down. It won’t, going by other research/explanations on it, this is mainly fear-mongering. In somewhat related news, apparently Net Neutrality was officially repealed today here in the U.S. Though I doubt the effect will be quite as drastic as this. With hope, it won't go through. I don't know a whole lot about the EU political system, but I'm sure there's something that can be done to prevent this. i love your silly posts. amazing. Found out about this a while ago. Glad to find a way i can help. Kinda.